You know you’re in trouble when former Aussie Prime Minister John Howard starts sledging you about your sporting prowess. The noted cricket tragic reckons England’s batsmen have a ‘psychological problem’ with the Aussie bowling attack, which has left them ‘just a little bit spooked’. Which is all true, of course. But it’s a bit rich coming from a bloke who bowls like this. With England humbled and crumbled in the second Ashes Test, it was only a matter of time before Kevin Pietersen opened his mouth. Lying on a beach in Miami, he let us into his innermost ruminations. England’s second Test capitulation at Lord’s brought a typically measured response from the British media, including the claim in The Telegraph that the English top order is ‘worse than Bangladesh’. I understand the Bangladeshis are consulting their lawyers. The Poms have decided if you can’t beat ’em, go for the cheap laugh, promoting the chronically out-of-form Ian Bell up the batting order to number three. Which should be fun. As strong as Australia’s second Test performance was, the person who stole the show wasn’t playing for the green and gold. They weren’t even on the field. And they weren’t exactly in the seats either. Of course, the global scene stealer this week was Mick Fanning, following his epic fight with a great white in South Africa. The tussle also brought out hordes of marketing sharks. Fanning did his first post-bout press conference with an enormous Rip Curl logo on his noggin and surfboard and sipping from a strategically placed can of Red Bull. No doubt sniffing the cash in the water, PR shark Max Markson also got in on the act, claiming Fanning could reap up to $10 million in endorsements from his near-death encounter. Which is no doubt what Mick was thinking when he was going ten rounds with a man-eater. 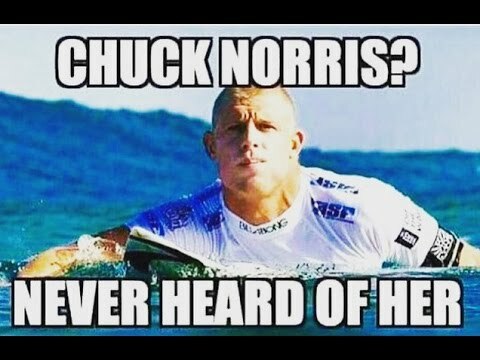 With Fanning escaping injury, the meme makers quickly got to work. 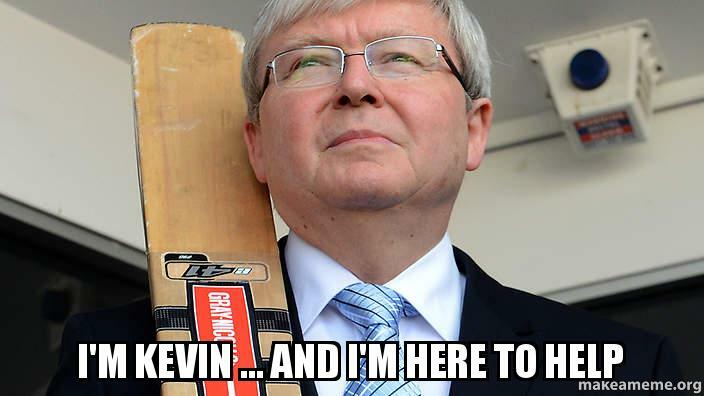 Google ‘Mick Fanning meme’ if you want a giggle. Sepp Blatter found himself in the hot seat when his press conference about the FIFA reform process (say that with a straight face) was gatecrashed by a comedian bearing two wads of fake cash. It’s the first time anyone’s ever seen Sepp run away from money. As for his requirement for a cleaner, maybe they called in this guy. At any rate, comedian Simon Brodkin faces a charge of trespass. I’m not sure they arrested the right person but I’m sure he’ll have no trouble crowdsourcing the bail money. Jordan Spieth, going for his third major title in a row, flubbed his putt on the final hole. Within six minutes, £90 million had been wiped from the market value of Spieth’s sole clothing sponsor Under Armour. Quite an expensive round of golf. Finally, Papua New Guinea government minister Ben Micah had some explaining to do after saying the national rugby league side would beat Australia and then some. “We are going to hunt them down, we’ll kill them and we’ll eat them,” the minister told Parliament. Have a good weekend, everyone. And don’t forget to eat your greens.